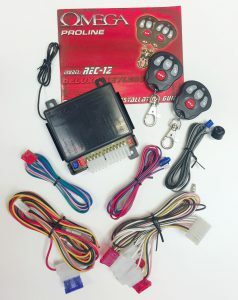 The Rec-12 is a full-featured keyless entry system with 17 programmable features. Supplied with two OEM-style 4-button remotes. Our Remote keyless entry system has anti hacking feature (rolling code) to stop code scanners.